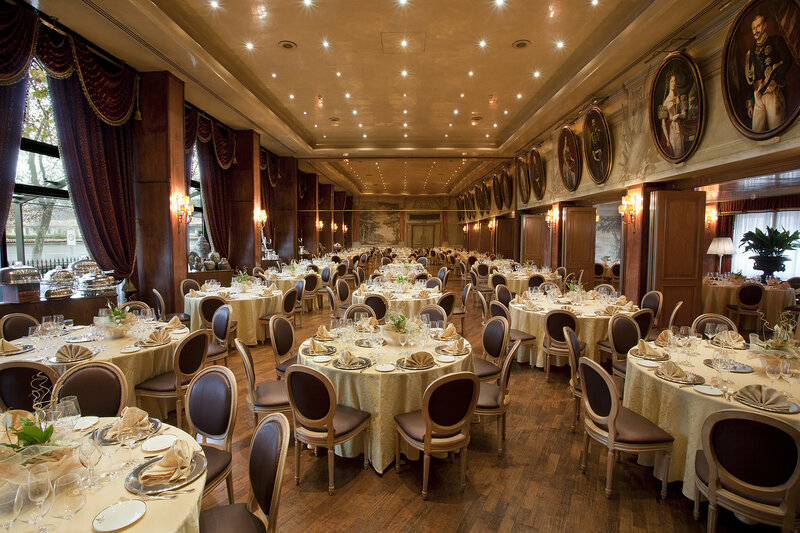 Hotel de la Ville, a 4-star luxury hotel in Monza, is specialised in the organization of wedding receptions in the heart of Brianza. The location, next to the Park of the Royal Villa of Monza, offers stunning views of the historic Palace of Savoy and the elegance of the rooms dedicated to weddings make the hotel a unique location for its prestige and atmosphere. The Sala Reale, distinguished by its luxurious furniture and its views over the Royal Villa of Monza, is ideal for receptions with up to 150 guests. The smaller rooms, like the Sala Corona and Sala Regina, can host between 15 and 40 guests. You can also enjoy our restaurant, the Derby Grill, perfect for small weddings. Your wedding menu is signed by Fabio Silva, Executive Chef of the hotel, renowned for his cuisine in Monza and Lombardy: the chef combines flavours of the local and Mediterranean cuisine with creativity and experience to present you with refined dishes tailor-made to satisfy your needs. Furthermore, you can count on the competence of our wedding planners and on the professional staff of Hotel de la Ville during your wedding’s organisation and reception.